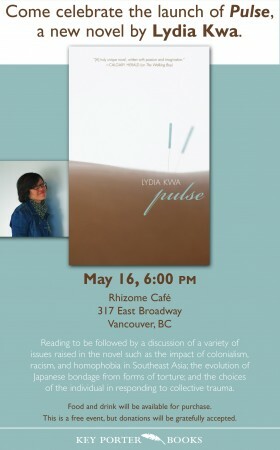 May 16, 6pm, Rhizome Cafe, 317 East Broadway, Vancouver, free event (donations welcome) Come celebrate the launch of Pulse, the newest novel from celebrated author–and recent contributor of short fiction to Ricepaper’s 15.3 RepresentASIANS issue—Lydia Kwa. 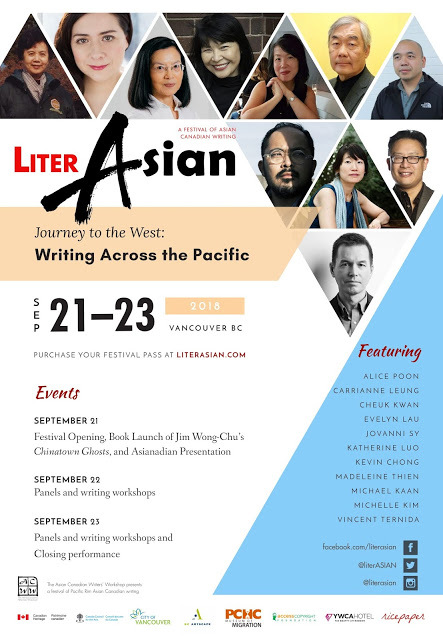 Set in both Toronto and Singapore, Pulse is the story of Natalie, who hears from her childhood friend and ex-lover Farridah, that Farridah’s son, Selim has committed suicide. 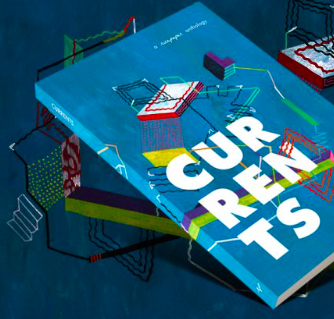 Somehow Natalie’s own past is entangled in the reasons behind why Selim has taken his own life.